I actually did a slight modification to my last post as I found myself rush through last night. I woke up at around 6am and went out at around 7am. Took the subway to Mejijingumae station. 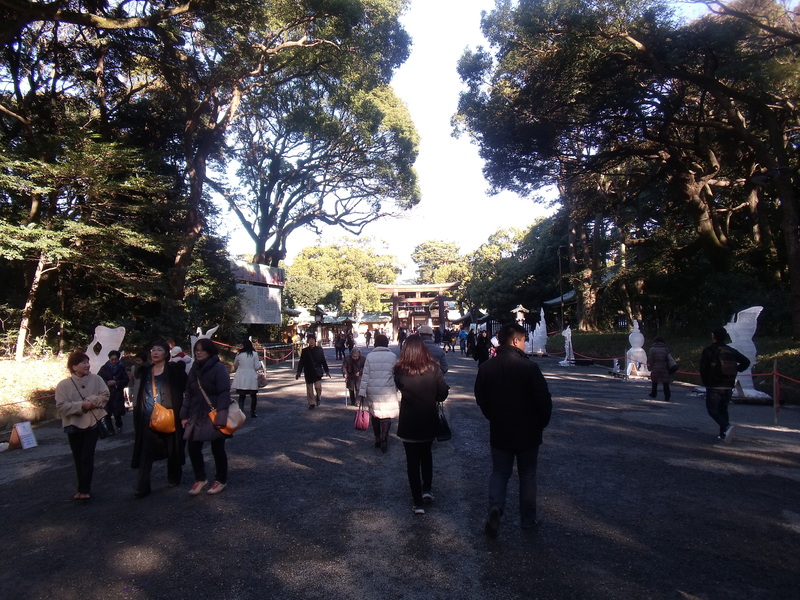 First stop was Meiji Shrine. 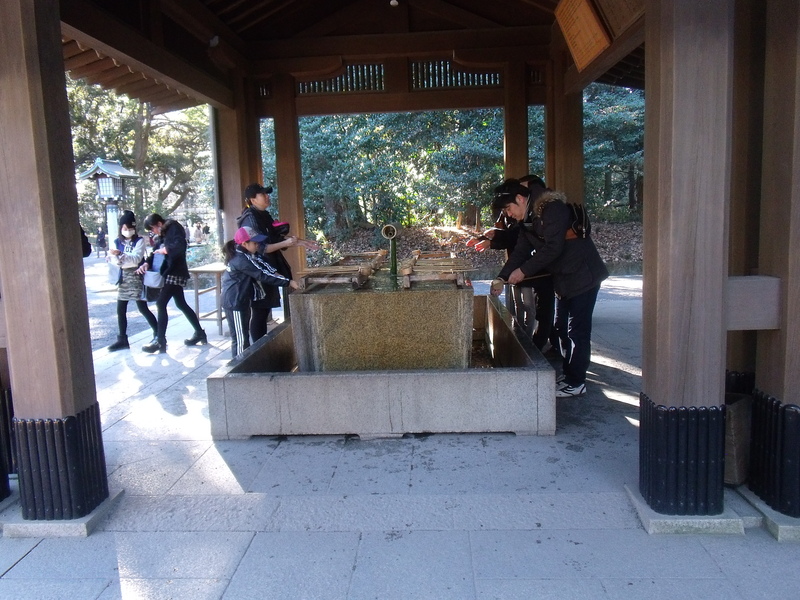 Before you enter the shrine, you are expected to “cleanse” yourself using the water outside the temple. I have no idea how to do it so I watched what the locals do. I am surprised that they aren’t feeling cold while washing their hands in such cold weather. Both my hands were freezing and I can barely feel its existence. I was lucky enough to be able to get to see 2 events happening on the day. 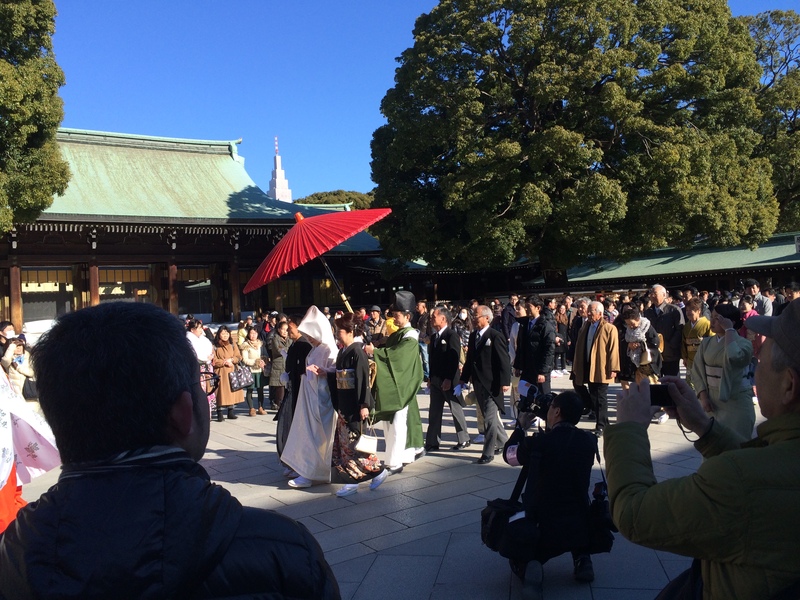 One is due to the annually 2nd Monday holiday to celebrate all Japanese who have reached 20 years old and the other is a marriage happened. 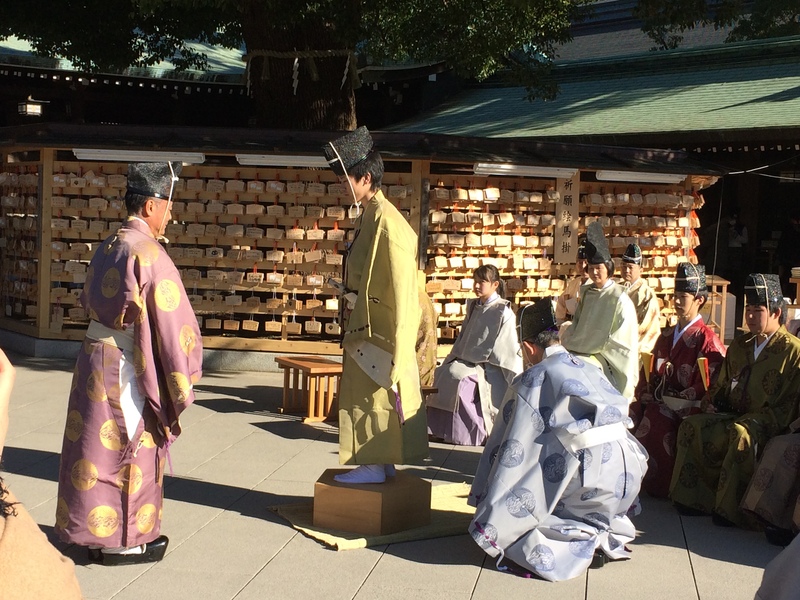 I wanted to write down my wishes on the wooden blocks but I just can’t find any place selling it. The gift shop didn’t display any of it. From what I read it cost 100 yen and none of those displayed were at 100 yen. I was puzzled and have to leave this place with a big ?. The next stop I went was Takeshita Dori. This street is full of cheap products and also fashionable products I guess? You can also get a number of gifts here for your friends if you would like to have. I found Daiso where I got myself quite a number of snacks to be brought home. 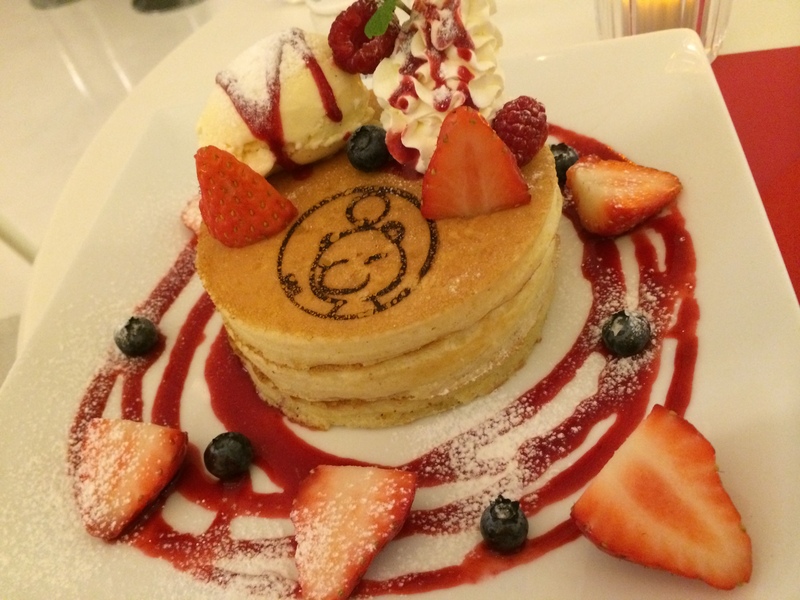 As I shopped around, I saw this Cafe Crepe and immediately I went to queue for a crepe. Despite the cold weather, I got myself a Chocolate Cookie Crepe. 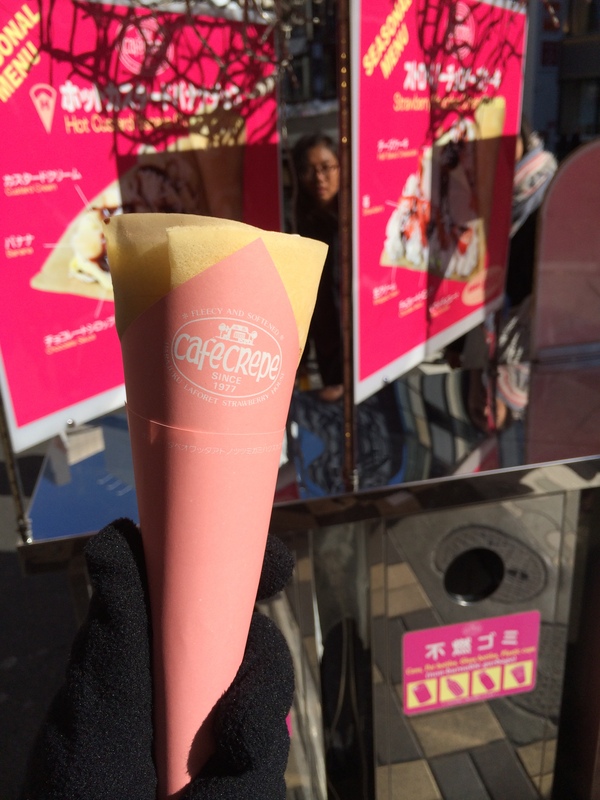 Its chocolate ice cream along with oreo cookies (my guess) and a good layer of crepe for ~ 500 yen (I think so). After that I found out the location of Kiddyland and went in to enjoy the warmth. 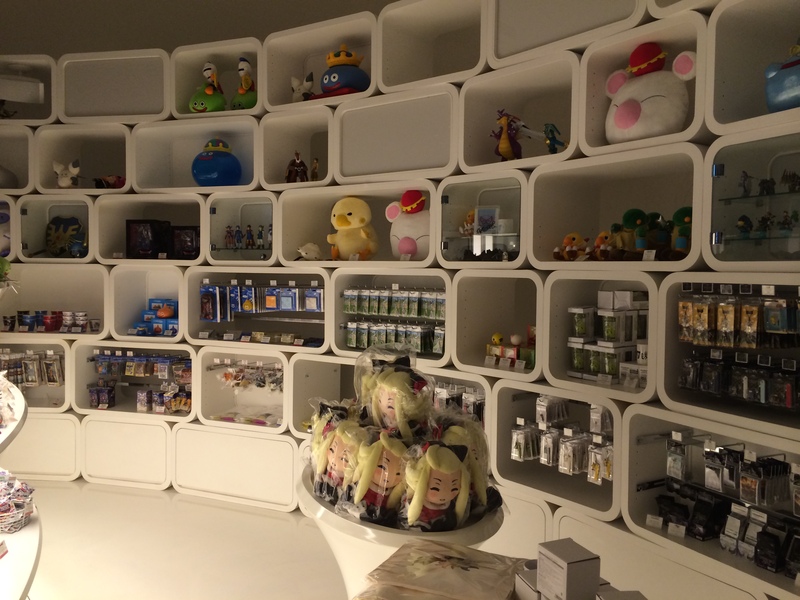 There were a variety of toys/ plushes from Rilakuma to Hello Kitty to Snoopy to Lego and many more. They have 5 levels for you to enjoy the “aircon”. So if you are in Harajuku and have to be in a winter period and have no idea where else to shop, KiddyLand is a good choice. 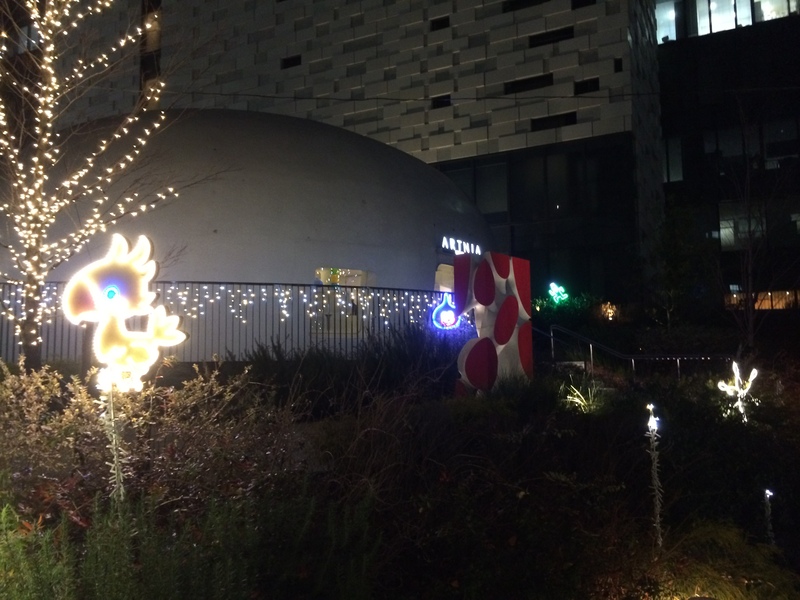 For some reason, I found myself at Omotesando Hills. I wanted to list it in my itinerary but I can’t find the exact location on any sites. So it was surprising for me to locate it so easily there. 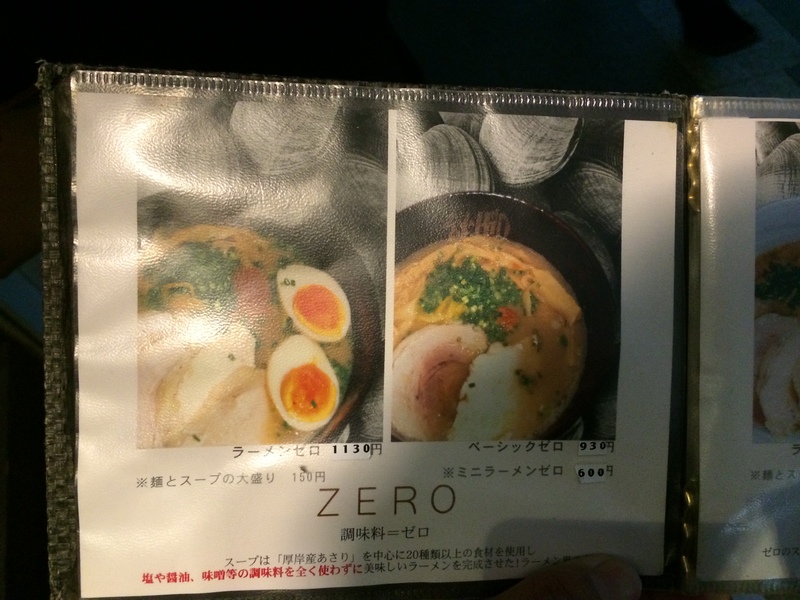 I had my lunch at the top floor where the store is called Ramenzero plus. 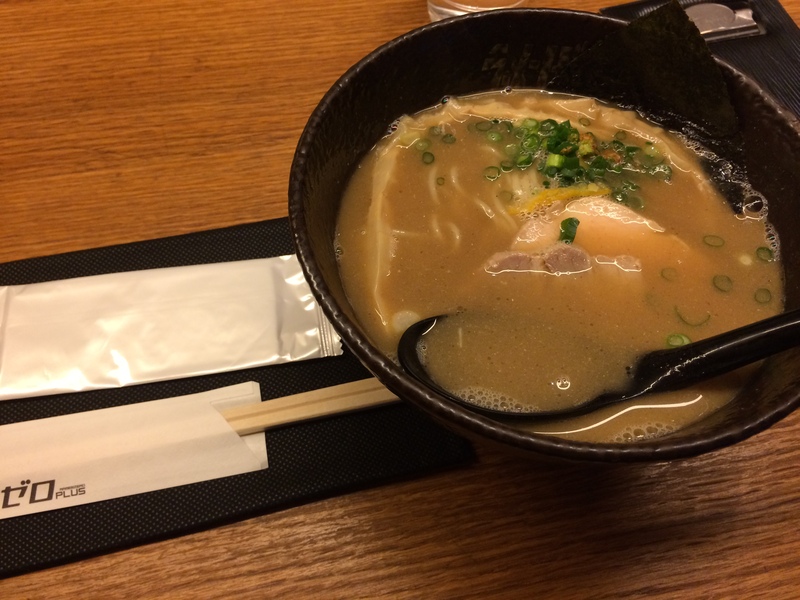 Their ramen costs slightly higher than usual at > 900 yen but the ambiance was so much better than other shop houses. More space to walk too. I have no idea what I got myself since its all in Japanese. My bet is some ramen. Lol. I spent a few minutes there to catch more warmth before heading down to Shibuya. Shibuya, I have no idea what’s with the crossing. Its just a group of people crossing and everyone is giving it so much hype. I spent 2 hours in one of the building at Shibuya and I actually wanted to come back during dinner time for dinner and see the lighting at night. In the end, I went back to Shinjuku. Finally found Shinjuku Gyoen but I didn’t realized that they have a closing hours in which, my arrival was their closing time. Lol! At that point, I have no idea what else should I do. Should I continue on at Shinjuku or go to Shibuya? The answer was go Artnia. I went to Artnia for dinner. Unfortunately, there was a crowd and I have to change my plan and yet again. 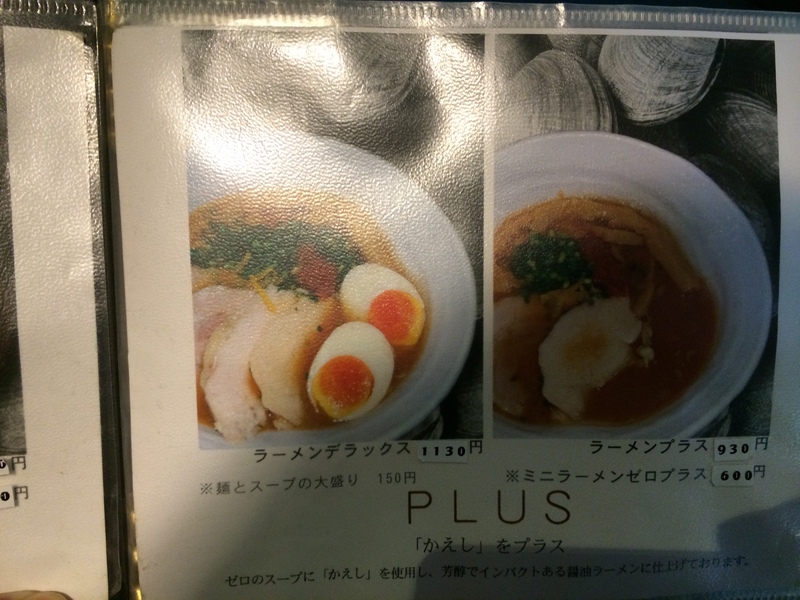 So I went to a random shop house in Shinjuku and ordered a set meal. It was so cheap that I immediately ordered it. I spent the remaining hours at kinokuya shinjuku where I saw this book in one of the section listed as top seller in Singapore. 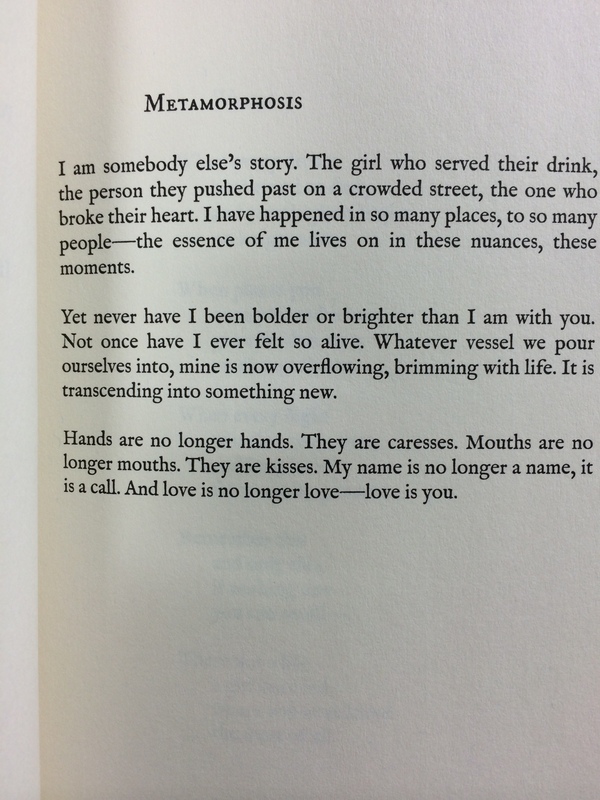 I like what was written in that page. I thought the metaphor was good. Anyway, after that I went straight to Artnia at around 8pm and the crowd seriously vanished! I guess they have curfews on winter period? Lol. After that 5 minutes walk back to hotel.